How to operate your Mobot Xtreme X4? 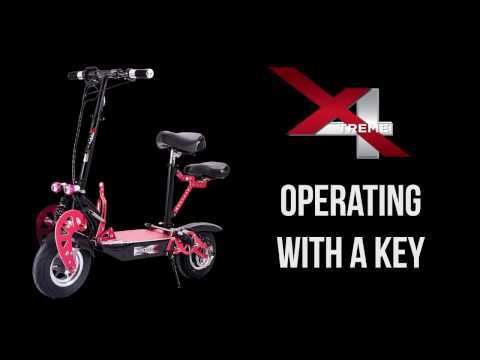 The folding and unfolding mechanism of the Mobot Xtreme X4. How to operate the remote control locking system. How to operate the horn and the front lighting system. How to remove Mobot Xtreme X4 dual seats. What to do for the second seat when it is too tight for folding.